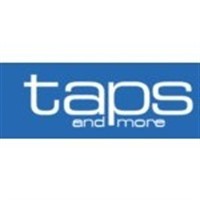 Taps & More is your ultimate one-stop destination if you want kitchen or bathroom tapware and accessories that are fluxed with the newest technology, sophistication and innovation. Based out of Sydney, Taps & More supply premium kitchen and bathroom tapware of well-known brands such as Dorf, Caroma, Methven, Novelli, Bastow, Rossto, Irwell, Flexispray, Oliveri, Zip and HiFlow. You can breathe life into your new or existing bathroom with our range of opulent bathroom and kitchen accessories and fittings such as basin spouts, bathroom showers, shower heads, bath mixer taps, sink taps and more.